followed as have most of Netanyahu’s recent public talks with Iran, with security and peace as major themes. 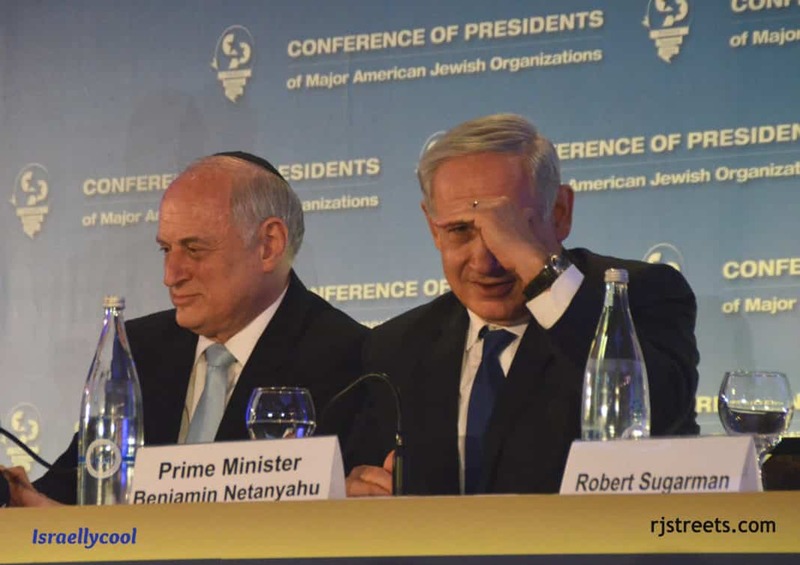 Sitting next to Malcolm Hoenlein, the executive vice chairman of the Conference, the Prime Minister looked out to the crowd before he spoke. with BDS blog post after BDS blog post detailing yet another boycott attempt against Israeli services, products, and academics, or the performers who just want to perform for an Israeli audience. 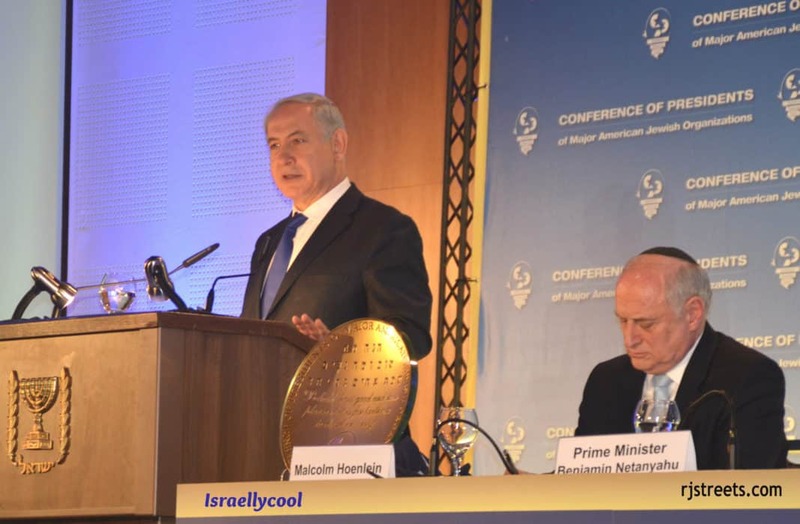 Maybe the PM was looking out for Israellycool, so he could say thank you? Nice that the Israeli Prime Minister has joined our campaign, in delegitimize the delegitimizers. BDS: Go Legit or Quit!